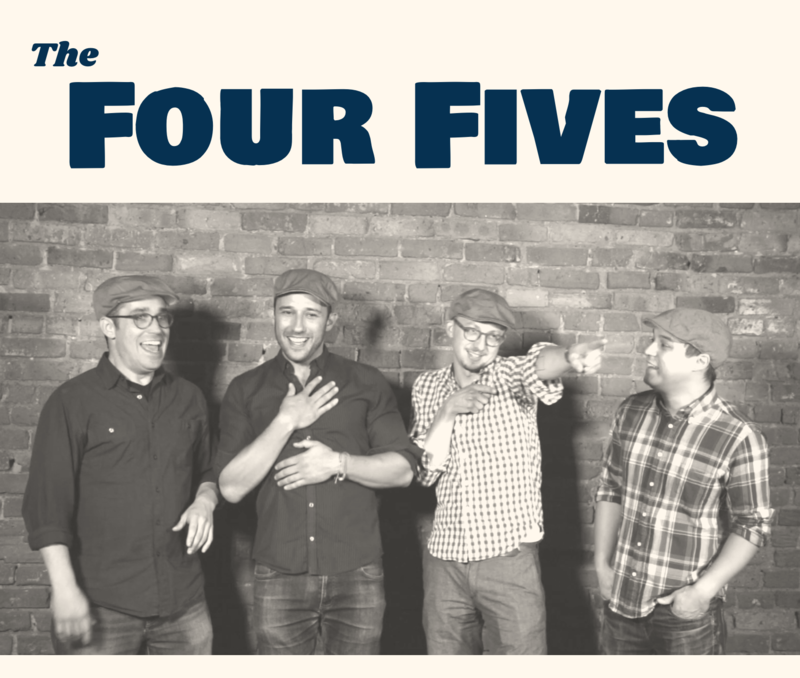 Hello, we're The Four Fives, Brooklyn's best-if-not-only active barbershop quartet. We're four old college friends that have been singing together since 1997: Jeremy Gough on tenor, Adam Arian on lead, Nick Moy on baritone, and Jed Schmidt on bass. Last year we recorded an album, thanks to our generous Kickstarter backers. You can listen to it by clicking on each track below. If you like what you hear and would like to book us for your private event in Brooklyn or Manhattan, please drop us a line.